MB at হ্যালোইন. . Wallpaper and background images in the মাইন্ডলেস বিহেভিয়র club tagged: princeton prodigy ray ray roc royal mindless behavior mindless behavior. This মাইন্ডলেস বিহেভিয়র photo might contain কিমোনো. Look at Ray Ray's hair! 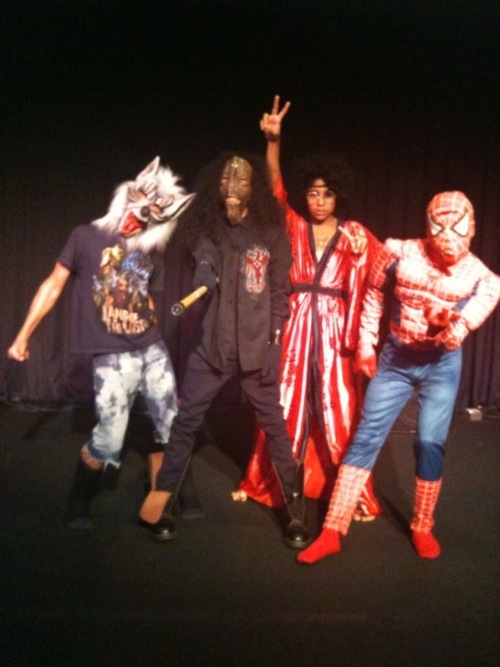 lol even in costumes they look hot. they are tooo crazy!